Online registration is now closed. Registration will be available at the Morton Community Center today during packet pick up from 12:00PM-8:00PM. Registration will also be available on race morning outside of Ross Ade Stadium from 6:30AM-8:00AM. BOILER UP on Saturday, October 13 at the 7th Annual Purdue Boilermaker Half-Marathon & 5K, presented by Franciscan Health! We are proud to support the Purdue Athlete's Life Success Program (PALS) for the seventh consecutive year! Since 2012, over $60,000 has been raised for the underserved youth of Tippecanoe County! All new for 2018, we are excited to announce a post-race beer garden, with beverages provided by West Lafayette's own Brokerage Brewing Co.! Finishers 21+ will receive 1 FREE beer ticket, which is redeemable inside the beer garden outside of Ross-Ade Stadium. We are excited to bring back our official pacers to help you reach your goal at the 2018 Purdue Boilermaker Half-Marathon! All pacers will be positioned in their designated corrals, and will be holding a sign to indicate their pace. We will be providing one (1) pacer per time. Pace Groups - 1:40, 1:45, 1:50, 2:00, 2:15, 2:30, 2:45 and 3:00. Although we encourage you to pick your packet up on Friday, you may pick your packet up on race morning if you are unable to attend the expo. Race Day pick-up will be on the north side of Ross Ade Stadium. 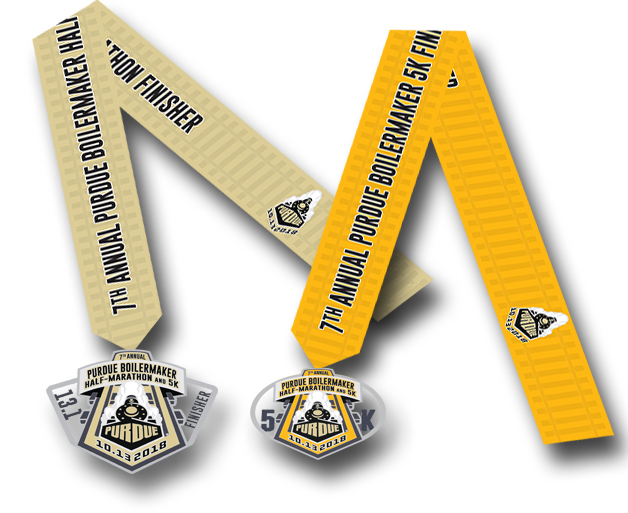 The Purdue Boilermaker Half-Marathon will once again benefit the Purdue Athletes Life Success Program. PALS is a free summer youth development program for underserved local Tippecanoe County children ages 8-14. Since the inaugural 2012 event, almost $60,000 has been raised for PALS! When this page loaded, the official time was 8:45:53 AM EDT.